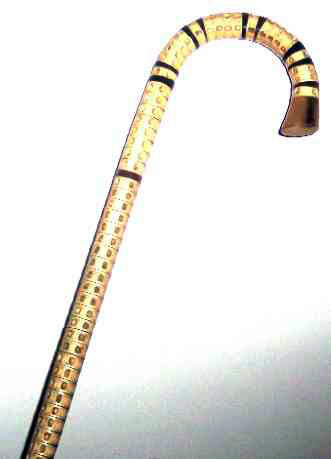 Exceptional Crook Cane made of Shark Vertabrae and Baleen with Horn Crook Tip. Length is 37", circa mid 1800's. Fine tight condition. A nice example of its genre`.